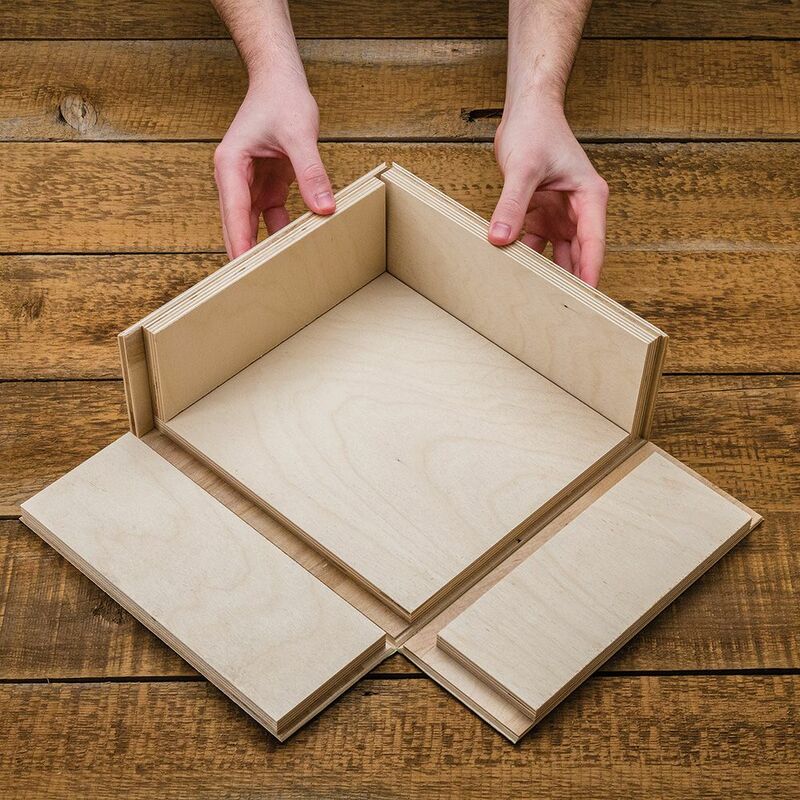 Fold a single sheet of plywood into a neat, seamless box with just four cuts—non-stick coating protects against pitch buildup and corrosion. 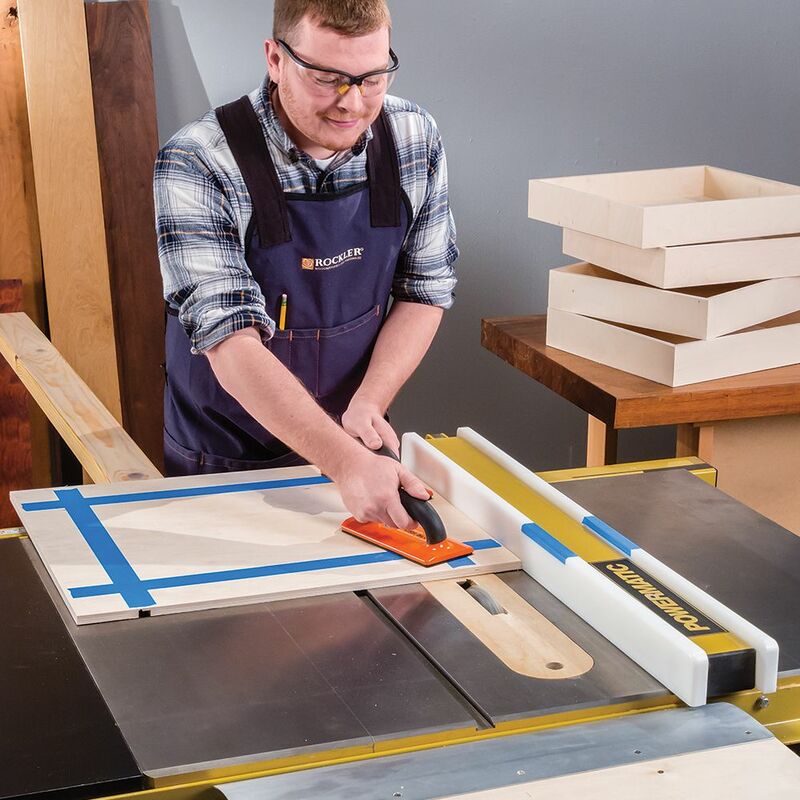 Use the easy Rockler Miter Fold Dado Set Calculator to see which blades, chippers and shims you need for the material you are using. 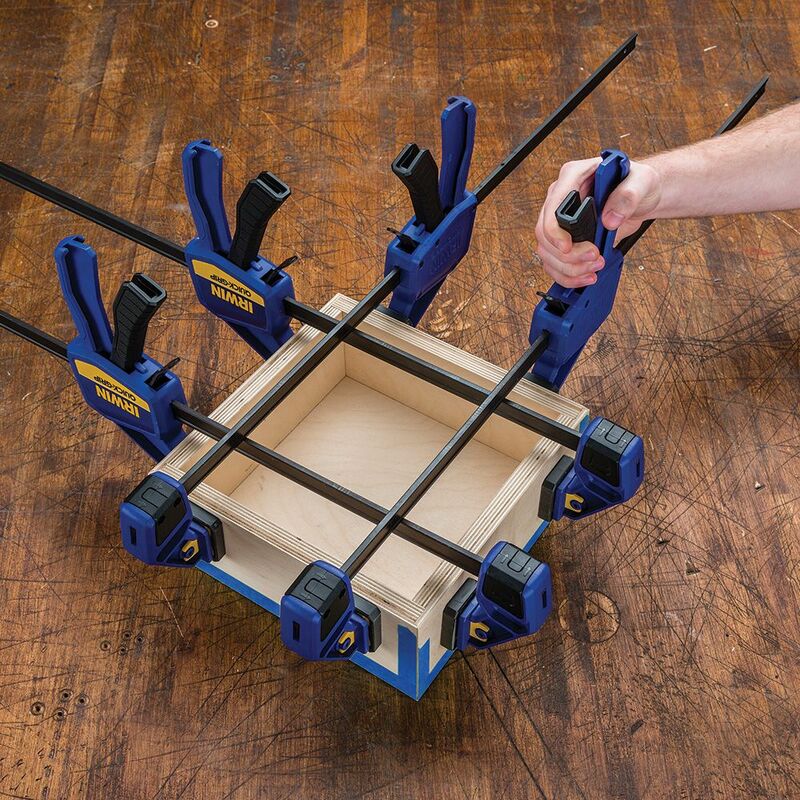 With just four passes on the table saw, the Rockler Miter Fold Dado Set turns a flat sheet of plywood or hardwood into a box with four sides and a top or bottom. The blade cuts a profiled channel through most of the wood, leaving just the face veneer intact. 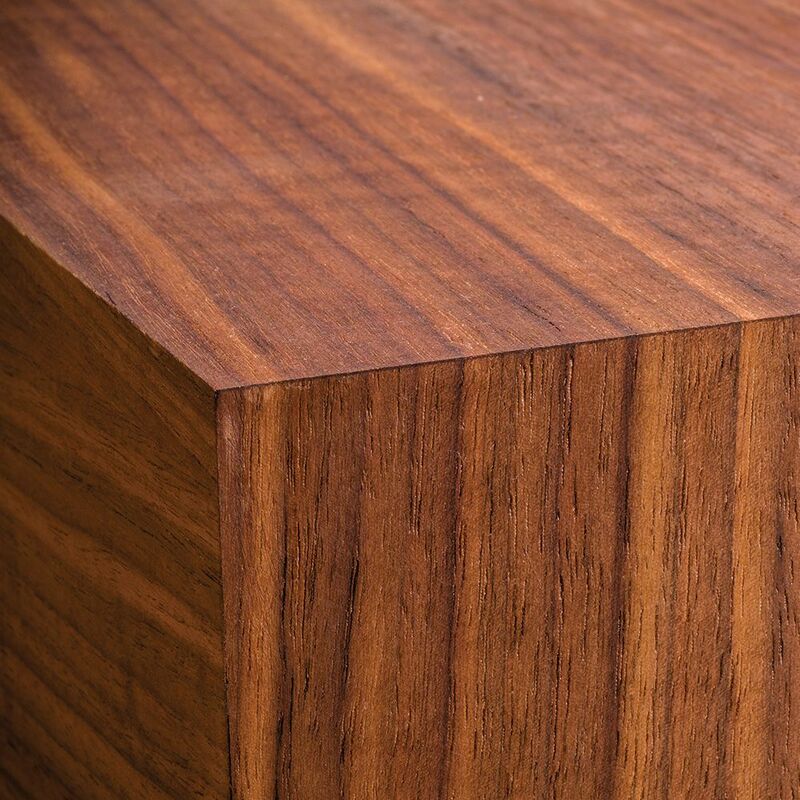 The joint is then folded, hinging on the veneer, which leaves a seamless corner, and grain that flows beautifully through the joint. 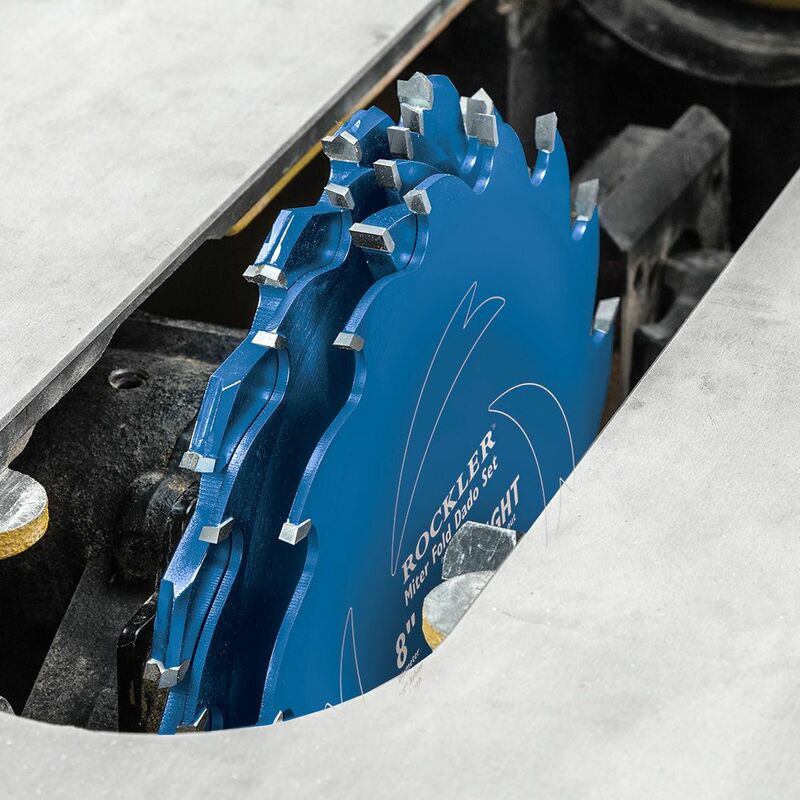 The miter fold blade can be used to create casework, boxes and drawers with minimal tools and setup, and can also be used as an ordinary 8'' dado set. 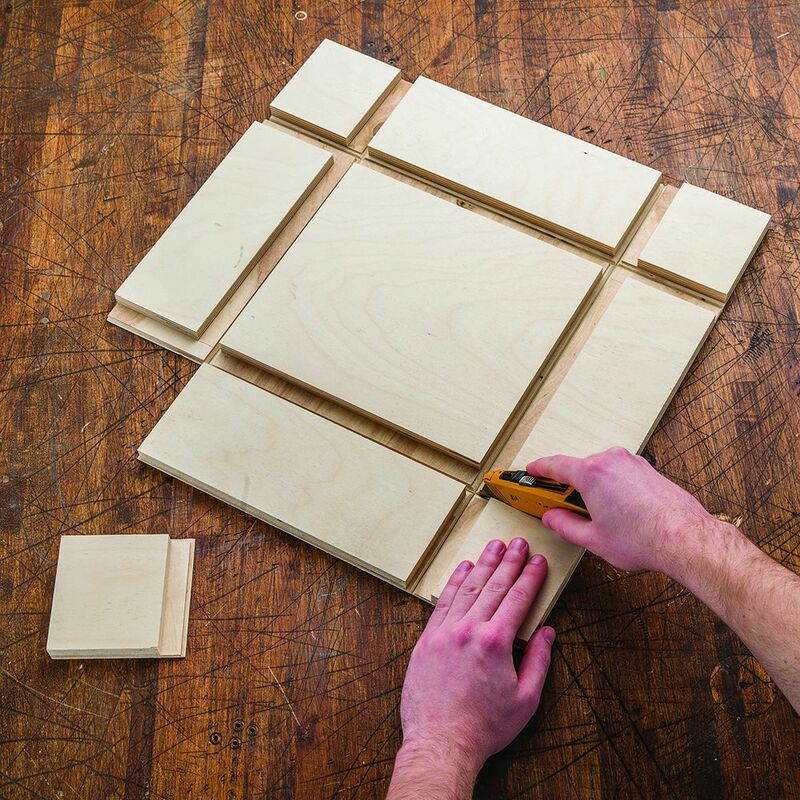 When compared to a simple v-groove miter fold, the Rockler Miter Fold makes a joint that is stronger, easier to clamp and less prone to glue squeeze-out. 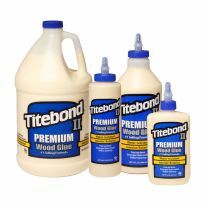 The unique locking profile keeps the miters from sliding around under clamping pressure, and creates a longer joint line for greater strength. 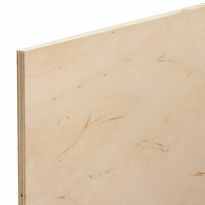 A common problem with basic 45° miter folds is that glue is funneled to the inside of the joint when the joint is folded closed. 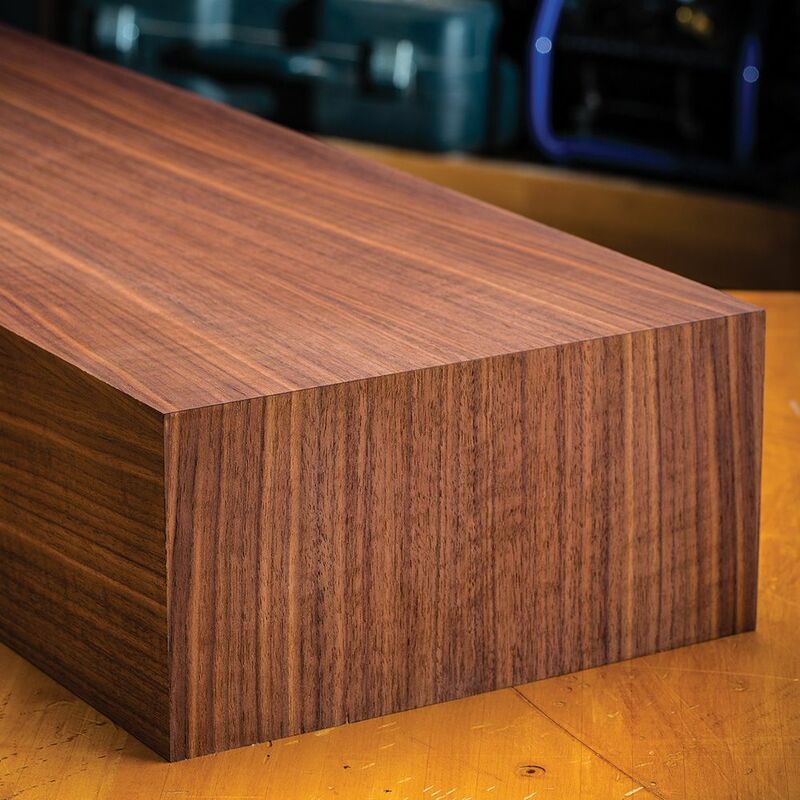 The Rockler Miter Fold uses a rabbet profile at the inside of the joint to reduce this tendency. The result is a strong, clean joint with almost no sanding required. Note: Table saw must be capable of running an 8'' dado stack. 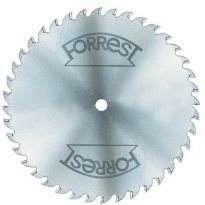 Some saws may require a thinner arbor nut/flange to cut miter folds in 3/4'' material. Not compatible with SawStop or any other saws equipped with flesh-detection technology. Specially profiled blade is compatible with the included dado set only. Table saw must be capable of running an 8'' dado stack. 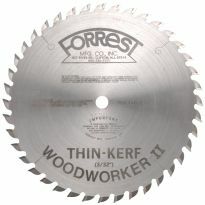 Some saws may require a thinner arbor nut/flange to cut miter folds in 3/4'' material. Not compatible with SawStop or any other saws equipped with flesh-detection technology. 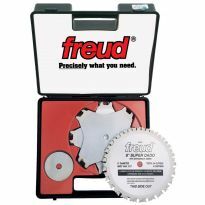 Specially profiled blade is compatible with the included dado set only. 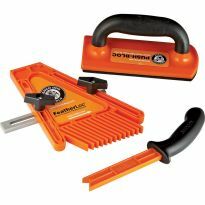 I read the two reviews and found them to be other than about the tool quality. Out of stock happens and the Dado Stack not fitting sound to me like a customer error. Anyway, the blades are nice and balanced, the instructions are very good(see online), you really have to take your time before you even make a cut making zero clearance inserts and of course your lumber sized. An outfeed table is nice to have. After a couple test cuts I was making boxes in 4 cuts. Nice specialty product. And I still love you Rockler. I was unable to use this blade on my Steel City Table Saw as the arbor shaft was approximately 1/2" too short to mount the blade flange and lock nut. I thought I read the special instructions correctly and thought since I can put my 8" Olshun dado blade on with out the flange it would work. But no luck. 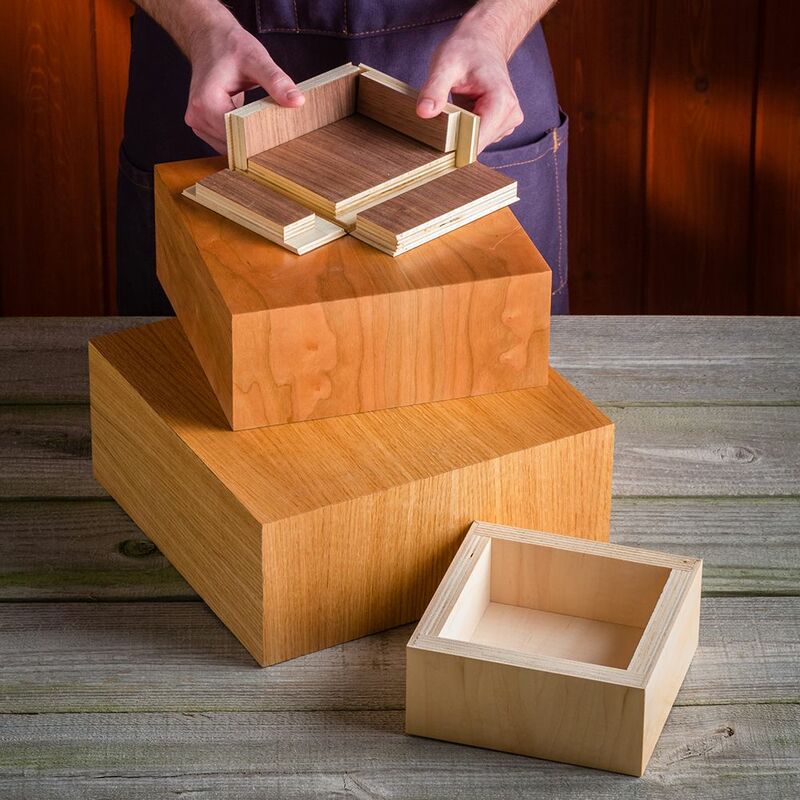 I am disappointed as I wanted to make some special drawers and cannot do it this way. 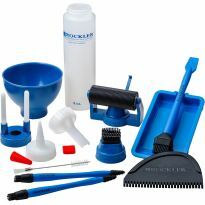 Rockler issued an RMA and has always been great to work with. I will continue as a happy customer. 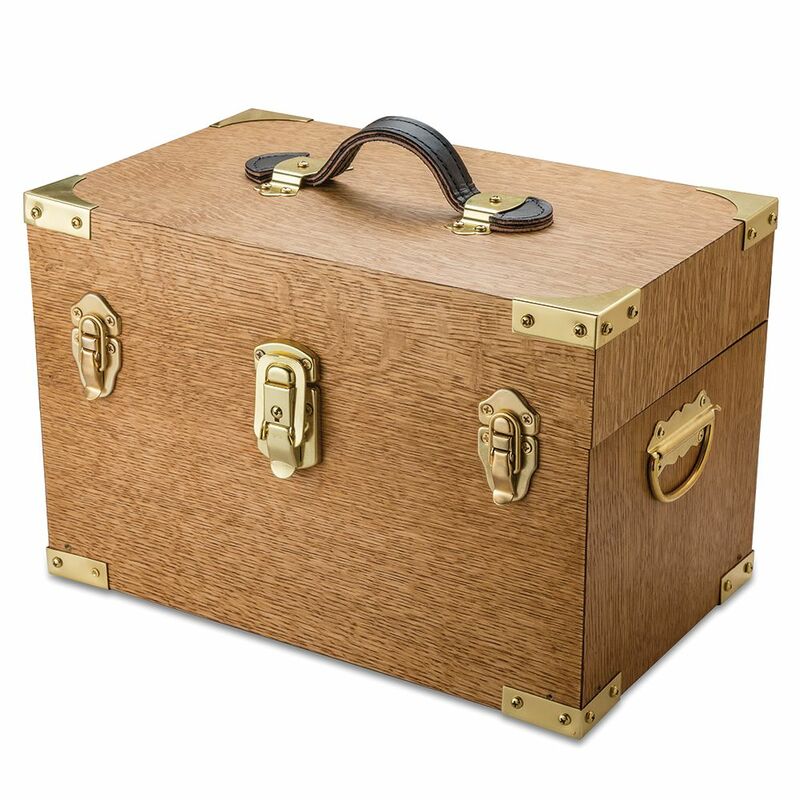 WANT TO MAKE TREASURE BOXES FOR MY GRAND CHILDREN. AND DRAWERS FOR MY WORKBENCH. I make a lot of small boxes and this help speed up the process. 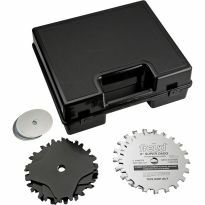 I know it says “can’t be used with sawstop” but is this just meaning the brake won’t work, or that it simply won’t fit? Can’t I bypass the brake, or use the 12” blade brake instead of dado brake? BEST ANSWER: The tip of the specialty blade is larger than 8" diameter, so it won't fit in the with the 8" brake cartridge installed. 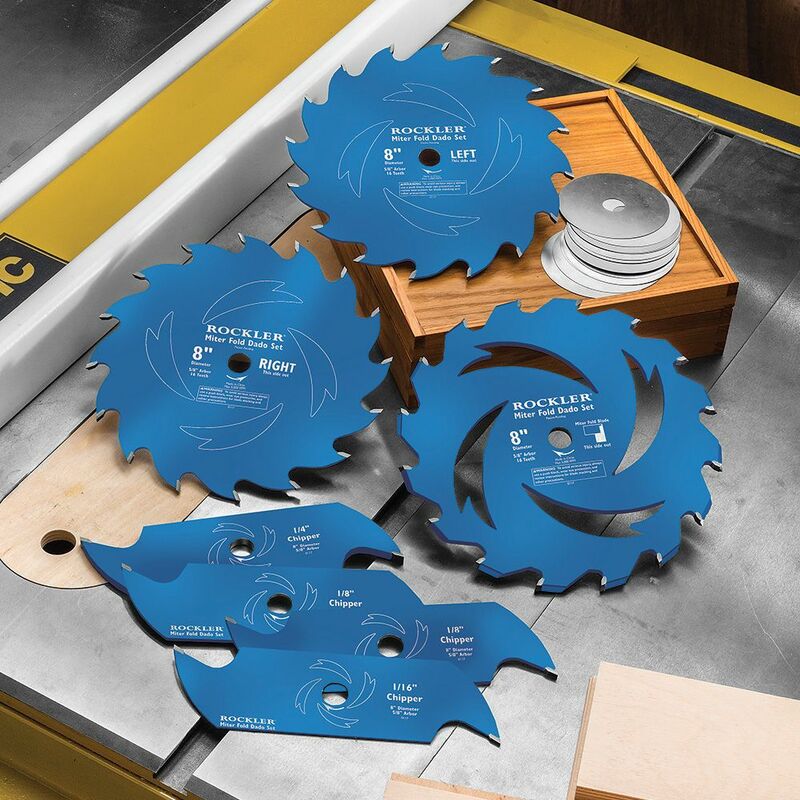 If you try to use a 10" blade (I don't think there is one for 12" blades) the saw won't run because there is a proximity sensor that needs to detect that the blade is close to the brake, or it won't run, even in bypass mode. 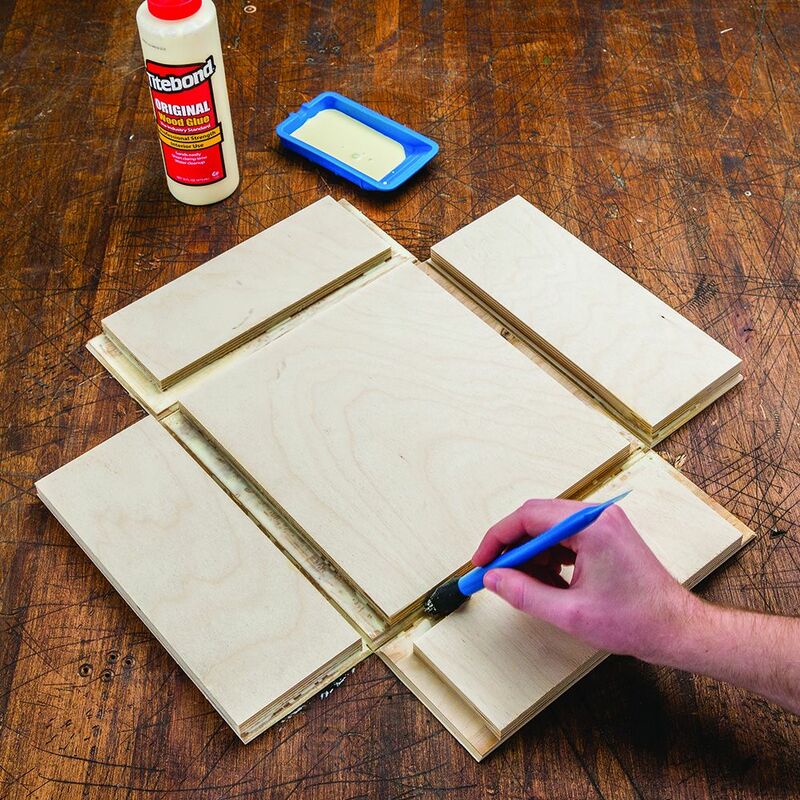 How do you use miter fold on DeWalt contractor saw with 3/4 plywood? BEST ANSWER: Depending on the arbor size you might not be able to. Also you need zero clearance inserts or use a sacrificial bed. Can I buy just the special dado blade as I already have the complete set? 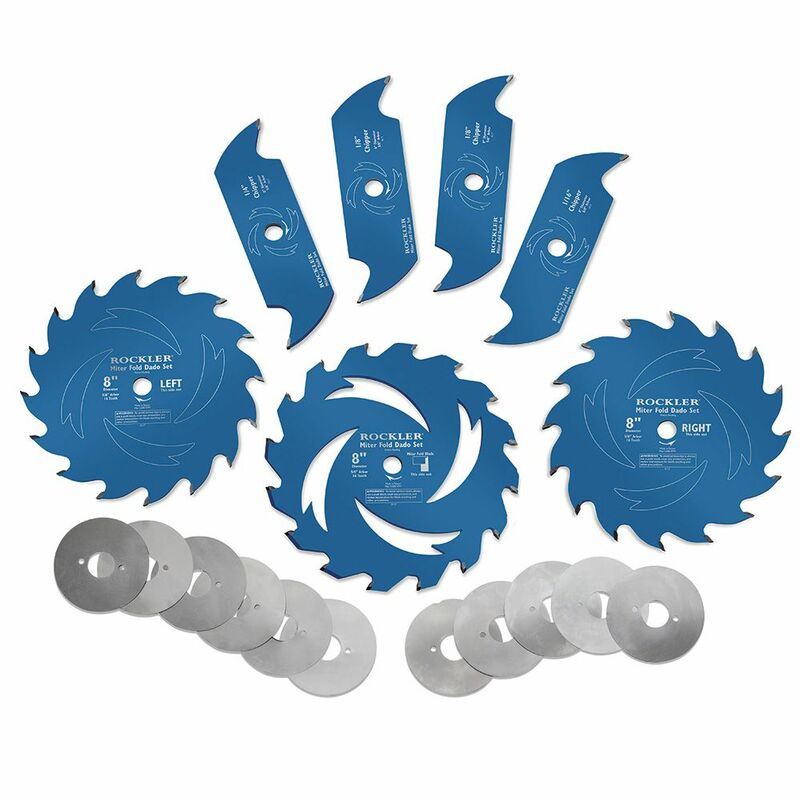 BEST ANSWER: While the included dado blades can also be used as a dado set, the specially profiled blade is compatible with the included dado set only. Comes in a complete set. Honestly though, the chart shows which blades and spacers are needed for the thickness of your sheet / board. I don't expect this would be as accurate with your own dado set. 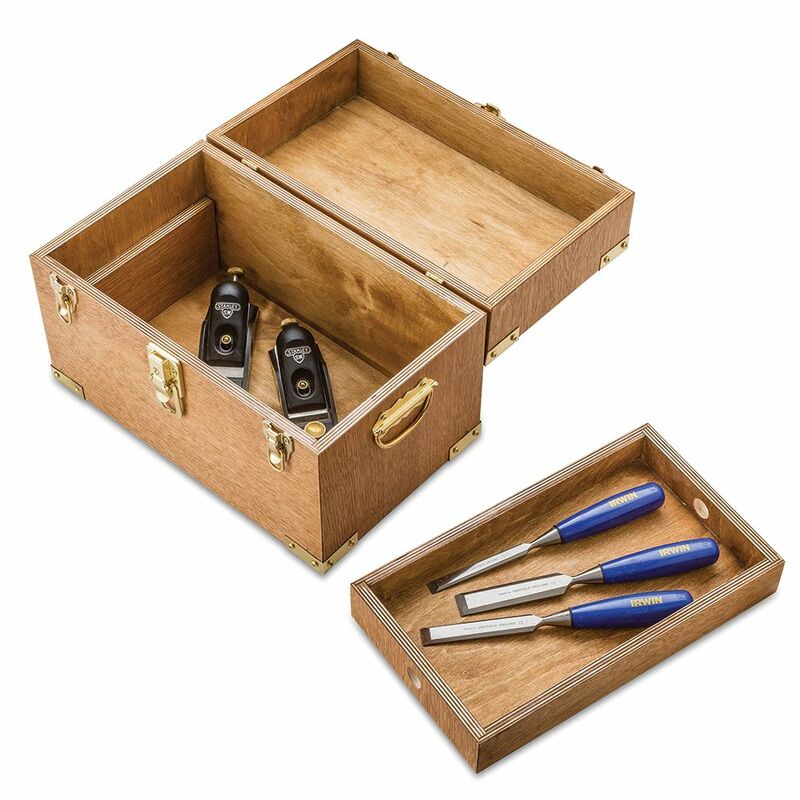 I already have a Rockler set made by Freud and it has all the spacers etc. 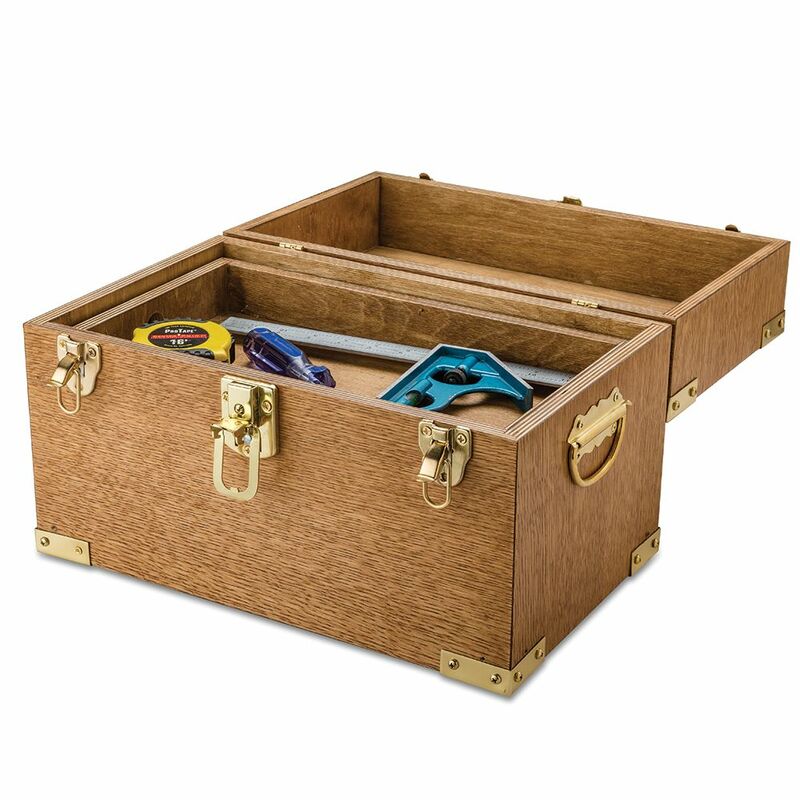 Rockler likely doesn’t make he set they offer for $350 - do you know who makes it? What arbor shaft length is recommended? BEST ANSWER: I haven't tried it on my Dewalt contractor saw (looks too small), but fits fine on my Delta industrial. Cabinet saw. Looks close when fitting with shims, but there are a few threads free on the other side of the nut. 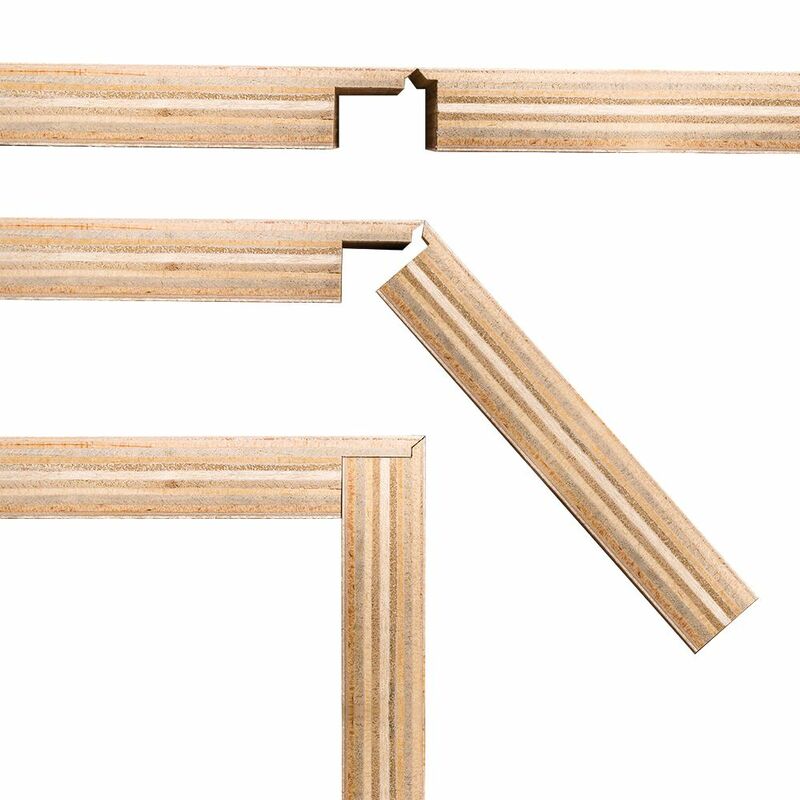 how long is the arbour shaft required to be for the Miter fold dado set?